Visa and MasterCard have built highly profitable businesses that rest on preventing competition from rival PIN and signature verification networks. When consumers use debit cards to make purchases, the consumer’s identity must be confirmed through either a Personal Identification Number (“PIN”) or signature. Both signature and PIN verifications require the transaction be sent through either signature or PIN verification networks. PIN network technology can be stored in the debit card, so merchants should be able to choose from among multiple competing network providers for processing signature and PIN transactions. Competition usually leads to lower prices, but Visa and MasterCard compete based on raising prices. For verification networks like Visa and MasterCard, competition is more about winning over the banks issuing debit cards rather than about the consumers who use the cards. Visa and MasterCard set the fees that merchants must pay to a cardholder’s bank. And higher fees mean higher profits for the banks. Critics complain that Visa and MasterCard do not “fight fair,” and that they use their market power to force merchants to accept higher costs for debit cards. If a merchant refuses to accept Visa or MasterCard, then the merchant’s sales will suffer. However, merchants are fighting back (with help from Congress and the Federal Reserve Board). Kroger, The Home Depot, and Wal-Mart have all filed anti-trust suits against Visa and MasterCard, alleging that the two colossal verification networks inhibit merchants’ network choice, resulting in higher merchant fees. Each case is still in the early stages of litigation, and no substantive rulings have been issued. These lawsuits are largely built on the back of the Durbin Amendment, which is part of the Dodd-Frank legislation and instructed the Federal Reserve Board to issue regulations prohibiting card issuers and verification networks from entering exclusive agreements. The Federal Reserve Board subsequently passed Regulation II, allowing merchants, but not verification networks, to direct the routing of debit card verifications. 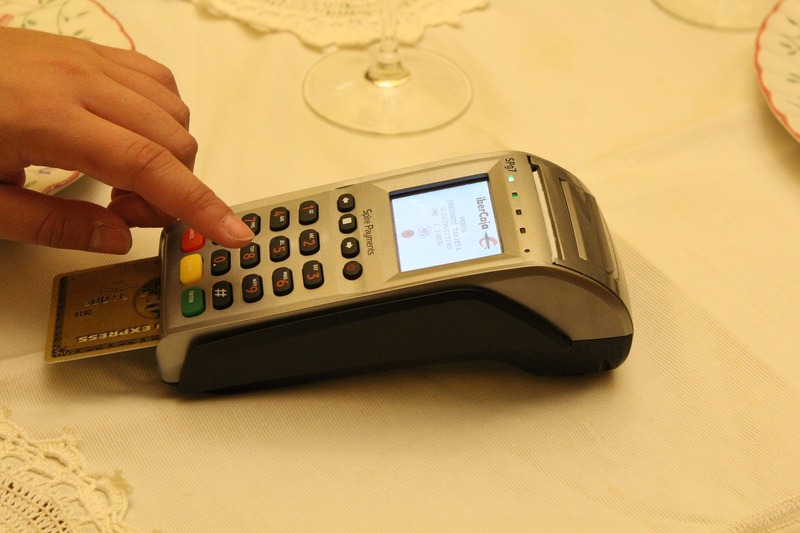 Also, merchants both big and small have recently implemented Chip-and-PIN terminals at their stores, requiring the consumer to insert their debit card into a terminal that reads the computer chip (instead of swiping) and then enter their card’s PIN. Chip-and-PIN, as opposed to Chip-and-sign, gives merchants freedom to route debit card transactions across any verification network, rather than having to use the Visa signature network, removing significant business from Visa. Visa is not lying down after taking this one-two punch. After Kroger installed 54,000 Chip-and-PIN terminals in its stores, Kroger says Visa levied a $7 million fine and forced Kroger to change the terminals to inhibit routing options of Visa debit transactions. However, in November 2016, the Federal Reserve posted a guidance stating that a verification network violates Regulation II if it requires the merchant to let the cardholder make the routing choice and the application implementing that choice routes to only one network. Visa then softened its stance, allowing merchants the flexibility to use numerous other networks like NYCE, Pulse, Jeanie, Star, Shazam, CO-OP Financial, Presto, AFFN, NETS or ATH. The changes to Visa and MasterCard’s profitable business models are not yet finished. The next question is whether the mounting lawsuits by merchants compel the verification networks to make even more changes. Brad Fleming is a third-year law student at Wake Forest University School of Law. He holds a Bachelor of Arts in Political Science from Georgia College. Upon graduation, he intends to practice in estate planning.